Job Postings will remain on our website for 3 months, unless you request a specific date to delete. Associate's Degree in Accounting, Finance, Business or related field; or equivalent combination of education and experience. The University of Iowa is seeking a Water Plant Operator to join the Facilities Management department. Under general supervision, this individual operates and maintains University water utility systems including main campus potable water production, distribution and storage; remote campus potable water systems and building water systems; including processes for coagulation, sedimentation, softening, chlorination, fluoridation, filtration, distillation, deionization, reverse osmosis, dewatering and industrial water treatment. 1. Performs chemical and water analyses, including 80 different types of laboratory analyses per eighthour shift. 2. Inputs data obtained from analyses into computer-based systems for the purpose of determining the proper water treatment process, chemical dosage, type of chemical and rate of treatment in order to maintain a safe and reliable quantity and quality of water. 3. Performs constant surveillance of all processes, chemical feed rates, equipment, data, and supervisory control systems in order to alleviate any failure that would effect the systems. 4. Make proper chemical dosage adjustments, including loading, conveying, solution preparation and feeder changes, which involves handling of hazardous chemicals such as chlorine gas, acids and alkalies. 5. Reads and inputs flow measurements, storage levels and water demand to determine the pumps needed and the rate of treatment in order to maintain an adequate water supply and report water use. 6. Operates and maintains equipment for water treatment residuals processing including sludge dewatering and hauling equipment. 7. Performs general maintenance and calibration of all equipment, including heavy machinery, and/or delicate laboratory and plant instrumentation in order to maintain maximum performance of equipment and processes. 8. Computes water production, chemicals used, chemical dosage, and chemical inventory in order to prepare daily summary for computer input. 9. Assigns work and provides training in operations and maintenance of all water related systems to coworkers and student operators as necessary. 11. Performs duties outside the Water Plant, including work with ion-exchange softeners, swimming pools, deionizers, distillation equipment, reverse osmosis equipment, remote campus water and water distribution systems and water meter reading and maintenance. 12. Operates the chlorine dioxide generator, digitalized chlorine feed system, UV light disinfection, digitalized ferric sulfate chemical feed system and the digital lime slaker with interface controls. 13. Monitors flood levels according to the Facilities Management Flood Emergency Response Plans. 14. Performs distribution system cross-connection/contamination investigations. 15. Samples and monitors storm water systems and operates and maintains dechlorination treatment systems per NPDES permit requirements. 16. Operates and maintains building and central chilled water production equipment including chemical storage and treatment systems for disinfection and corrosion control. 17. Follows procedures and monitors security cameras and doors through Homeland Security recommendations. 18. Performs start-up and shutdown of the water plant’s emergency power generator in case of electrical outage. 19. Attends conferences, meeting and/or schools required in order to obtain and maintain Iowa Grade II, or higher, Water Plant Operator certification, other required certifications and proficiency in mandated safety areas such as confined space entry, lock-out safety, fall safety, and other areas as required. students from more than 100 countries and all 50 U.S. states, and employs about 29,500 faculty and staff. 1. Certification by the State of Iowa as a Grade II, or higher, Certified Water Plant Operator. 2. Possession of a valid Iowa Driver's License and ability to meet and maintain UI Fleet Safety Standards. 3. Possession of a Commercial Driver’s License as required. 4. Certification as an Iowa Certified Swimming Pool Operator as required. 5. Other job related certifications as required. Merit job openings are posted for a minimum of 10 calendar days. This job may be removed from posting and filled any time after the minimum posting period has ended. Looking for an independent contractor with Iowa Grades I & II Water Operator and Wastewater Grade I certifications. One year contract (renewable) would include Twenty (20) hours a week providing operation and maintenance of the City water and wastewater systems and supervising the training City employees in those areas. A complete list of duties and job description will be provided upon request. Must provide own vehicle and liability insurance. For additional information, please contact Ann Stevens @ Corydon City Hall at 641-872-1826 or by e-mail [email protected]. City Manager, Chariton, Iowa. (Population – 4,321). Progressive and growing community in south central Iowa, located at the junction of U.S. Highway 34 & Iowa Highway 14 in Lucas County, is seeking an energetic leader for the position of city manager. Salary range is $75,000 to $95,000, depending upon qualifications, with a full range of benefits. The city manager directly oversees the following municipal departments: city hall, wastewater, streets, cemetery, parks & recreation, police, airport, code enforcement, zoning, and finance, which includes 15 full time employees and an annual operating budget of $5.2 million. The city manager is also responsible for supervision of contracts, oversight of city property, management of capital improvement projects, and keeping the five member city council and mayor fully advised of the city’s financial condition and overall future needs. Qualifications include four year college degree in public or business administration or related field and 3 to 5 years of experience in a public sector management position, with an emphasis on city finance, budget development, labor relations, strategic planning, technology needs. Residency in the City is required within six months. (www.chariton.org), after it has been posted on March 13, 2019. Application materials requested include: cover letter, resume, salary history, and five work related references. Applications will be accepted until the position has been filled with the first review of applications on April 10, 2019. Confidential applications should be sent to Patrick Callahan, c/o Callahan Municipal Consultants, LLC 417 Kaitlynn Avenue, Anamosa, Iowa 52205 or send to [email protected]. INFORMATION: The City of Altoona is accepting applications for Utilities Operator I at the Altoona Utilities Department, focusing on sewer collection. PRINCIPLE DUTIES AND RESPONSIBILITIES: Primary function is to perform and participate in semi-skilled work as related to the operations and maintenance of Municipal sewer collection system, stormwater system, water production and water distribution systems. Operation of a combination jet/vac hydroexcavation machine and sewer pipeline inspection camera truck. ENTRY REQUIREMENT AND SKILLS: Experience with operation of a combination jet/vac machine and sewer pipeline camera equipment would be beneficial. Candidates must possess a high school diploma or G.E.D., and three (3) years of experience in the operation and maintenance of a sewer collection system. Ability to obtain a Commercial Driver’s license within six (6) months of employment. Possession of a Grade 1 operator’s certificate issued by the State of Iowa in Waste Water Treatment, or the voluntary waste water collection system operator certification is acceptable. 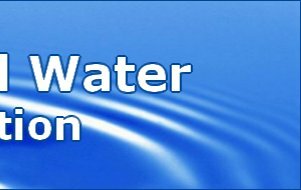 Any experience in the operation and maintenance of a water treatment facility of distribution system would be beneficial but not necessary. 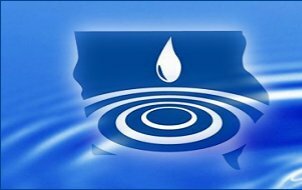 Possession of, or the ability to obtain, a Grade 1 operator’s certificate issued by the State of Iowa in Water Treatment and Water Distribution within one year of employment. Post offer employment physical, drug screen, and physical capacity profile exam required. HOW TO APPLY: Altoona is a Skilled Iowa participant, candidates can find out more at www.skillediowa.org. Applicants should complete and submit a city application available at http://www.altoona-iowa.com/i-want-to/find-job-openings/ AND submit a resume and cover letter specifying interest to City of Altoona, Attn: Amy Hill, 407 8th St SE, Altoona, Iowa 50009. Please include current mailing address, phone number(s), and e-mail address. Director of Public Works, Asbury, Iowa. (Population – 5,451). Progressive and growing community in northeast Iowa, located in the Dubuque, Iowa metropolitan area in Dubuque County, is seeking an energetic leader for the position of director of public works. Salary range is $65,000. to $76,000., depending upon qualifications, with full range of benefits. The Director of Public Works directly oversees water distribution, wastewater collection, streets, storm water and parks maintenance staff, which includes 4 full time employees and an annual operating budget of approximately $2.50 million. The Director of Public Works participates as part of the City’s management team and has input to a variety of policy recommendations. Qualifications include a two year post high school degree in engineering, public administration, biology, chemistry or related field. Four year college degree preferred. 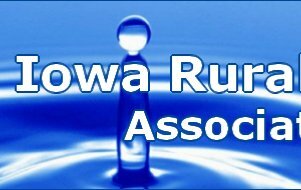 Must have or the ability to obtain within 24 months of the date of hire a Water Certification II, Wastewater Treatment Plant Grade III, and Water Distribution Grade II from the Iowa Department of Natural Resources. Residency in the City is preferred, but not required. Potential candidates may view a community/position profile on the City’s website http://bit.ly/AsburyPublicWorks. Application materials requested include: a cover letter, resume, salary history, City of Asbury Application for Employment and five work related references. Applications will be accepted until May 3, 2019 with the first review of applications starting on May 9, 2019. Confidential applications should be sent to [email protected]. Be part of an important industry with Hawkins, a trusted and well-known leader in the chemical industry for 80 years. This is your opportunity to learn and develop a career at Hawkins. In this role you can become part of Water Treatment Group as a Technical Route Sales Representative – a delivery, service, sales, and support role. The City of Altoona is accepting applications for part time summer positions within Parks, Streets and Utilities Departments. Candidates must be 18 years old, hold a valid Drivers License. Candidates must have no driving under the influence within the past five years. Starting wage is $11.00 per hour. Altoona is a Skilled Iowa participant, candidates can find out more at www.skillediowa.org. Applicants should submit a completed city application available at http://www.altoona-iowa.com/i-want-to/find-job-openings/ to City of Altoona, Attn: Amy Hill, 407 8th St SE, Altoona, Iowa 50009 or email to [email protected] or fax to 515-967-0842. Please include current mailing address, phone number(s), and e-mail address. Applications will be accepted until positions are filled. Pre-employment drug screen and physical required Equal Opportunity Employer. Accepting applications for an Iowa Grade III wastewater operator or ability to obtain within 6 months to work in our Chariton, Iowa contract. Must possess a valid driver’s license with clean driving record to operate company vehicle, as well as live within a 10-30-minute response time. There are two employees at this location providing professional wastewater services for Chariton’s oxidation ditch with 7 lift stations throughout the system. We offer an excellent compensation package with benefits beginning on date of hire. Check us out at www.peopleservice.com and apply on-line.